Posted on September 27, 2013 by Linda S.
That “fog-drip” can account for ten or more inches of precipitation a year and up to 35% of a forest’s annual water supply in the northwest. I found this fact on page 67 in the book Trees & Forests of America by Tim Palmer. A tree’s needles absorb the moisture-laden air, which liquefies on the surfaces of the needles, accumulates and eventually drips to the ground, nourishing the tree. There are many books on tree identification. You can get them specific to the West Coast, the Olympics, the Pacific Northwest, or we even have one for Trees of Seattle. 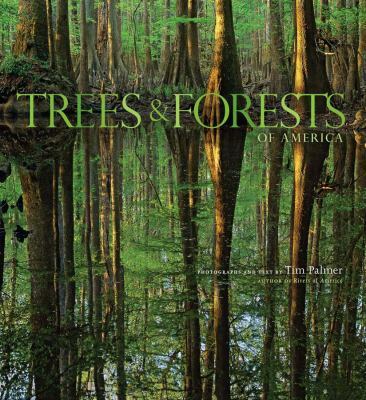 I personally like the National Geographic Field Guide to the Trees of North America. It has color pictures and descriptions of tree “parts” to make identification easy. When a tree dies, it is really a new beginning. Insects, birds and small animals take up residence and moss and lichens grow on their new “home”. Sometimes dead trees are hollow or have roots exposed leaving room for larger animals. Dead Log Alive by Jo S Kittinger has informative facts and shows great pictures of all kinds of activity around and on a dead snag. The Western Hemlock is the Washington State tree. Didn’t know we had a state tree? All states do! The book State Trees: Including the Commonwealth of Puerto Rico by Sue R Brandt tells you about all of them and includes pictures of these majestic beauties. There are many, many poems and stories written about trees: The Giving Tree by Shel Silverstein, Christmas Trees and Birches by Robert Frost, A Tree is Nice by Janice May Udry, The Family Tree by David McPhail, The Lorax by Dr. Seuss. One of my favorites is My Side of the Mountain by Jean Craighead George, where Sam Gribley lives off the land in a hollow tree after learning everything he needs to know to survive at the library! While you are thinking about trees, don’t forget about your “family tree”! There is a genealogy database at the library called Ancestry Library Edition that you can use at the library, or check out the book Secrets of Tracing your Ancestors by W. Daniel Quillen to get you started. This entry was posted in Did You Know?, Nonfiction, Science & Nature and tagged trees by Linda S.. Bookmark the permalink. Very interesting facts and data! I had no idea that every state has a “State Tree”, but I suppose it’s only fitting as each state has a dedicated flower, bird, etc. Well done!